Today the Supreme Court upheld the individual mandate of the Affordable Care Act (Obamacare) with a 5-4 vote. This means the health care law, arguably President Obama’s biggest achievement, will stand. It’s definitely a big win for the Obama administration and a huge blow to the right-wing blowhards that would have liked to see the health care law die along with the millions of Americans who don’t have health care insurance. Yeah, that’s blunt. Deal with it. Since liberal justices are in the minority, it took at least one of the conservative justices to break ranks to uphold the health care law. That justice was Chief Justice John Roberts who actually ruled against the Obama administration’s defense that the individual mandate falls under the Commerce Clause. 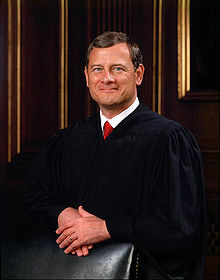 Instead, Roberts said the individual mandate is nothing more than a tax and congress has broad powers to levy taxes. The individual mandate might be called a fee or penalty but it’s really just a tax. I posed the question of whether or not the individual mandate is a tax in the article: Does The ‘Individual Mandate’ Argument Boil Down To Semantics? I made a case for why I think the individual mandate is a tax in the article: The Individual Mandate: Why Precedent Matters. Even if the Obama administration and Democratic lawmakers lack the spine to call the individual mandate a tax, it still is a tax. The fee/penalty if you don’t buy health care insurance is to be collected by the Internal Revenue Service as part of your income tax filing, hence it’s a tax. Some are already speculating how this will impact the presidential election. My opinion is it will have little consequence. Romney doesn’t want to talk about health care since he passed a similar bill while governor of Massachusetts. He might be forced to talk about it at this moment but doubt he will still be talking about it much this autumn. I’ll close on a humorous note. There is much ignorance on display today with people saying they will move to Canada because of this ruling. You know, the country to our north that has a health care system called Medicare, except their version of Medicare covers everyone.